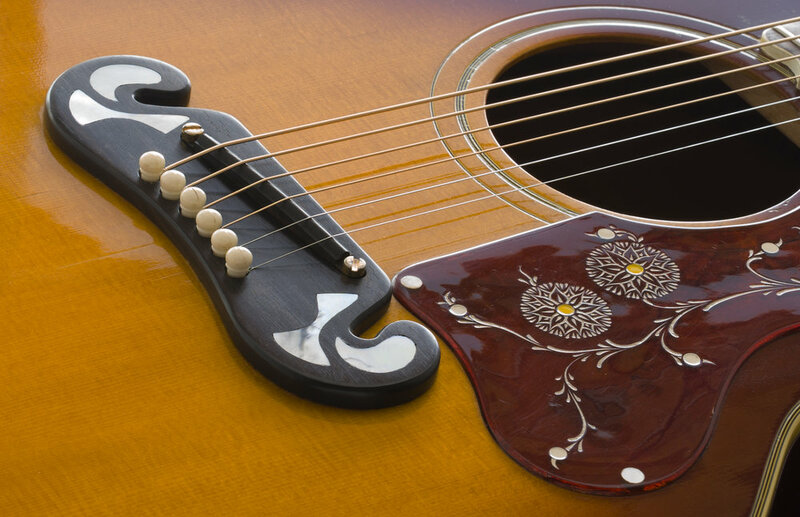 Big, Bold and Beautiful nicely describes the persona of the world famous, iconic, Super Jumbo Gibson J-200 guitar. 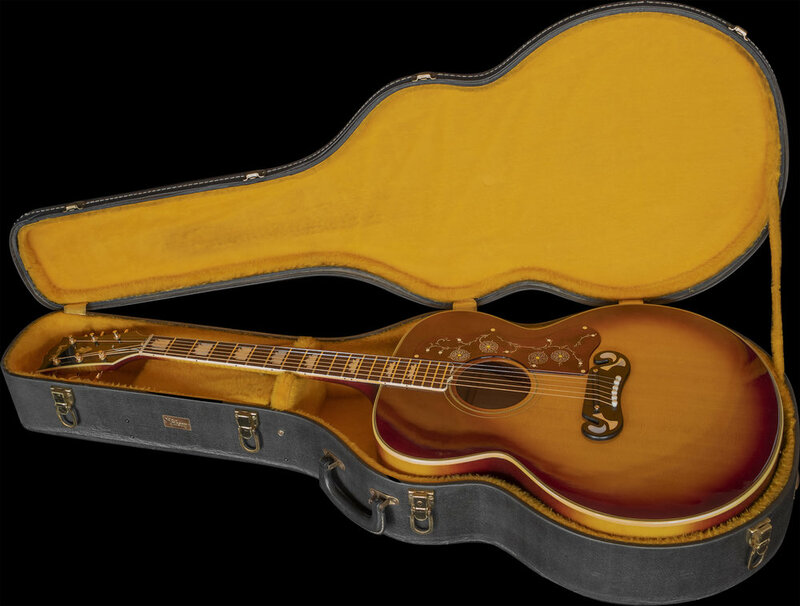 Long ago, back in 1940 or so, Gibson dubbed it "King of the Flattop Top Guitars," and it went on to prove it was worthy of the title. These are very solidly built guitars. The general construction and features of these modern-era models are large, 17 inch, circular shaped lower bouts with maple backs and sides. The curvy body is also outlined with multi-ply bindings. 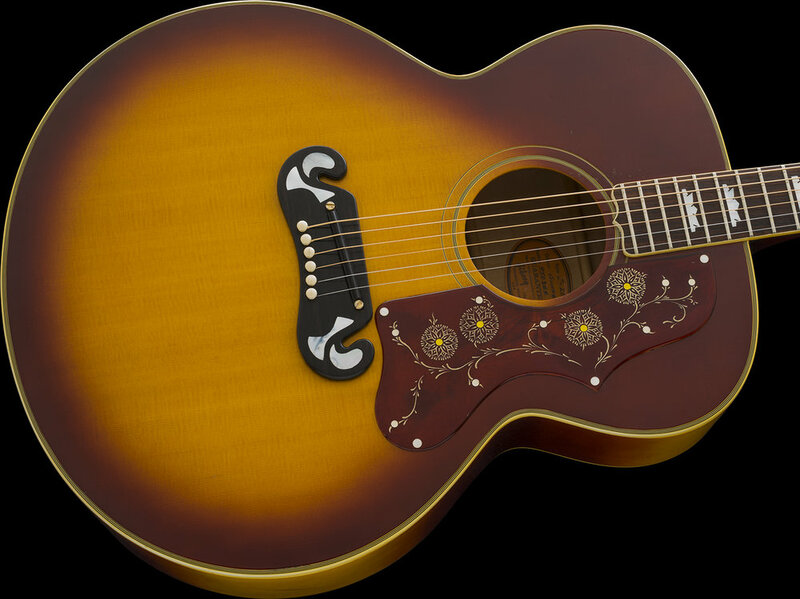 These feature double X-braced spruce tops, adorned with ornately engraved flower motif pickguards, a popular model feature that has endured the test of time. 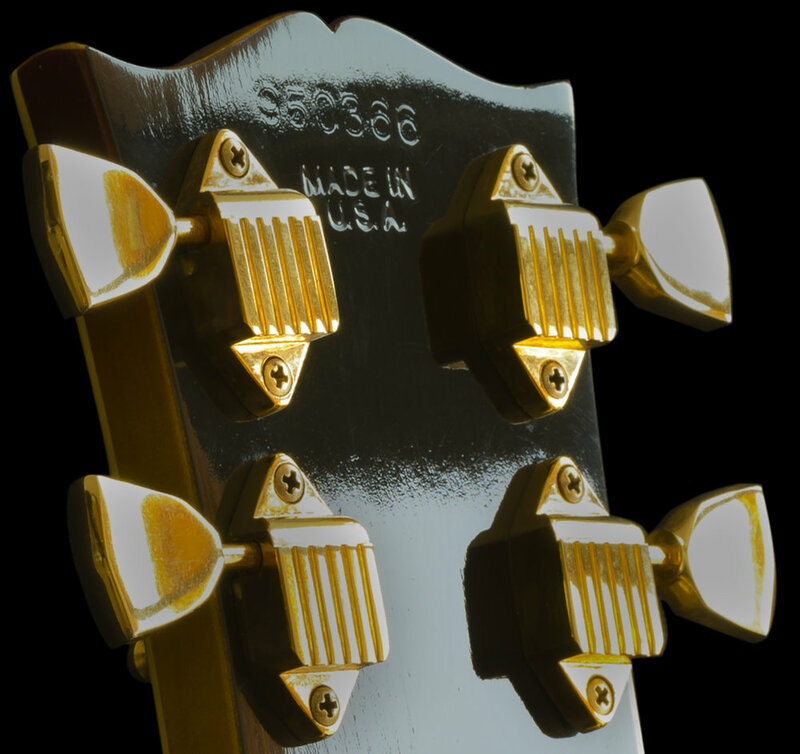 The necks vary but are usually 2 or 3-piece maple construction with bound Rosewood fingerboards and Pearl, pineapple shaped neck inlay with fancy, pointed fretboard ends. Another beloved trademark of the model is the Mustache shaped bridge, which on this era model is made of Ebony. This guitar has a preferable glued-on pickguard; however, I have seen some guitars of the 1968 era that have them screwed-on and covered by Pearl dots, and All have Gibson's bolt-reinforced bridge design. This example has Keystone tuners, which eventually changed back to Grovers sometime shortly after. 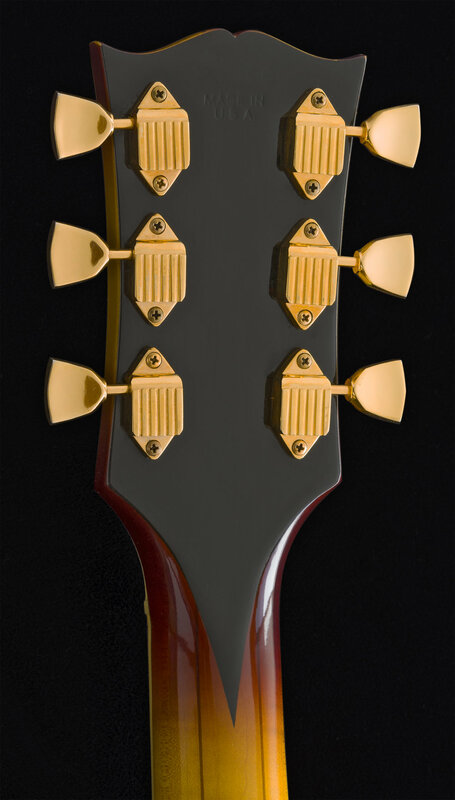 A bound headstock with crown inlay and Gold hardware adorn the guitar as well, all adding to its majestic vibe! This clean example retains it's original factory Orange label. I have examined, tested, serviced and set-up this instrument and found it to be factory-correct, unmolested and factory-original in every way. The guitar plays very nicely, and the neck is in healthy condition as are the frets. 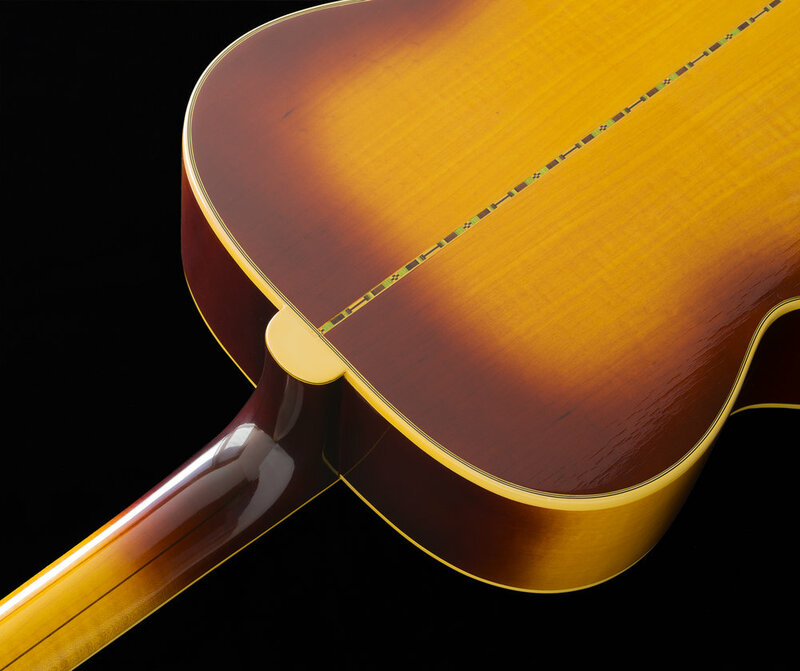 The nut is a wide 1 11/16," and the neck is a comfy and sensible C-shape. The guitar is VERY nicely preserved, as both the Top and Body are crack-free and luckily, no one has ever installed a neck heel area "strap button," a personal peeve of mine. 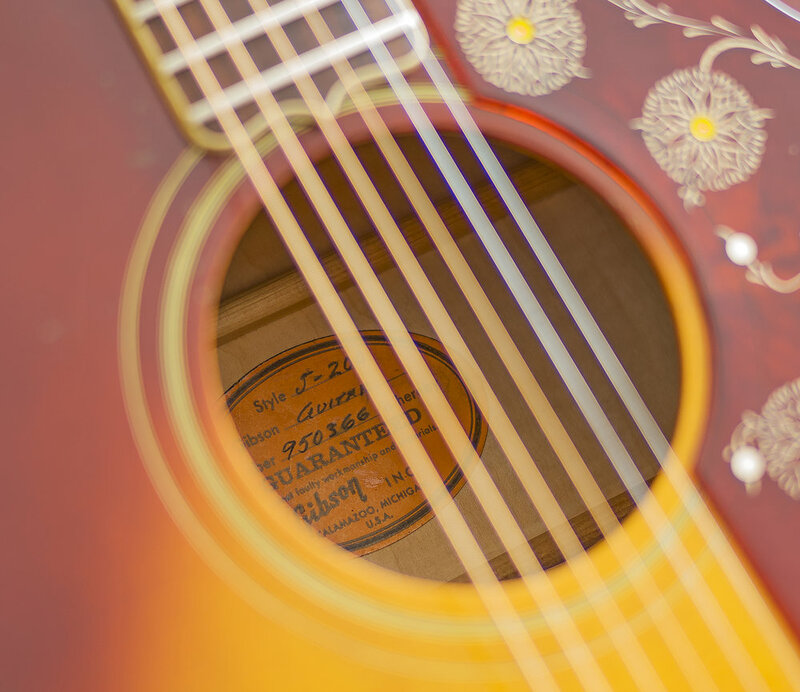 The guitar shows only minor signs of wear and usage. Globally, there are various small and insignificant dings, light scratches, and marks to report. There are No cracks or repairs that have ever been made or needed. The appearance and coloring of the Sunburst have a very pleasing tone. The combination of materials, age, and condition all contribute much to the guitars' overall curb appeal, it has aged gracefully and has a very warm patina and vibe. The 17 inch CASE is Black Tolex with Yellow lining and is era correct. 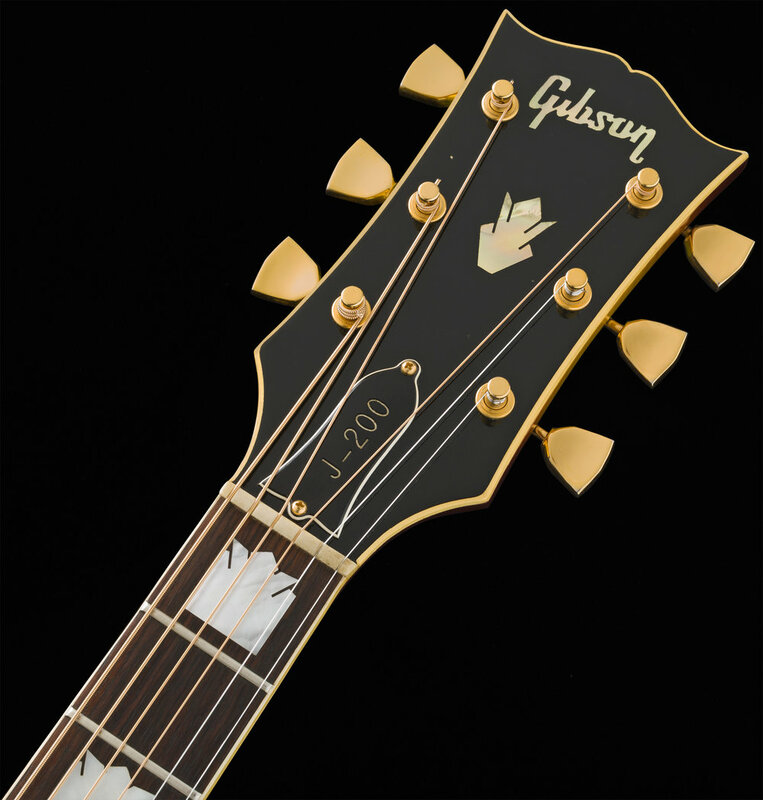 It is in excellent matching condition with a fully-functional handle, latches, and correct Brass hinges, as well as having its Gibson logo badge intact. I acquired this beautiful J-200 long ago. I remember having many J-200 guitars come through my store, and I have bought and sold many dozens of these throughout my store career. After purchasing this example, something about it caught my eye, and I decided not to sell it simply because I liked the look and vibe of it! 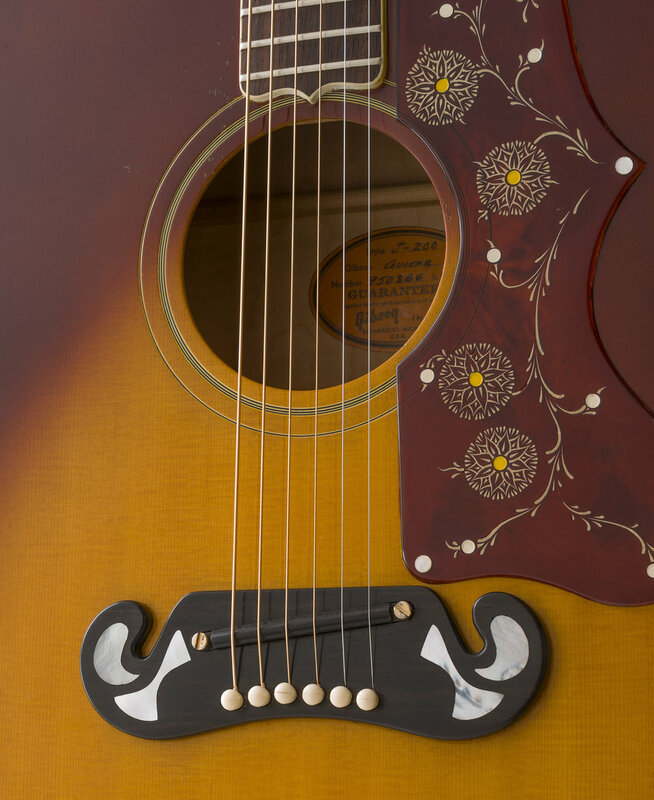 Sometimes we collectors don't need any other reason to want a guitar! This guitar is now 50 years old and has been in my collection for more than 25 years and has been spared all of the "circulation" that most vintage instruments being offered online today have undergone. If this model appeals to you, you may consider adding this nicely preserved example to your herd as I did long ago. 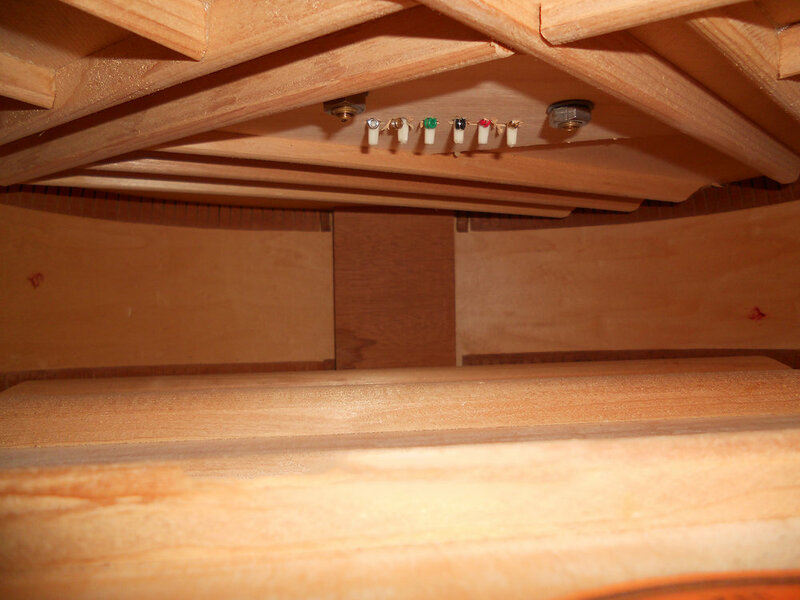 direct sunlight better reveals the figuring of the maple body and neck! Weight: 6 lbs. 02 oz.